Every time I am on the radio over Advent someone calls and asks if Jesus was born normally and naturally like other babies, or was he a miraculous birth–in other words, arriving in the world by avoiding the birth canal and without “opening the womb.” There are discussions and debates suggesting he miraculously appeared in Mary’s arms without a normal birth. After reading much of the material on this matter I believe he was born as any other baby. You can read my article and thoughts here. I know a lot of folks are very adamant on the other side of the debate and I do not post this to start another debate here. I am presenting this for people interested in the topic to think on the issues and to understand both sides. This was such an interesting article. This is something that I have never thought of before. Thank you! would not be a loving and glorious. I agree with you 100%! I’ve always believed that Jesus was born the normal, natural, human way, for the very reasons you state. But I’ve never heard any theologian or expert on Catholicism state this, until you! Thank you! You are so right – virginity has nothing to do with how the baby gets out, it has to do with how it gets in! Thank you for an interesting and timely note on Our Holy Mother, Mary. Dr. Mark Miravalle has a different take on Mary’s perpetual virginity that is also well researched. I have linked it here for you to see. 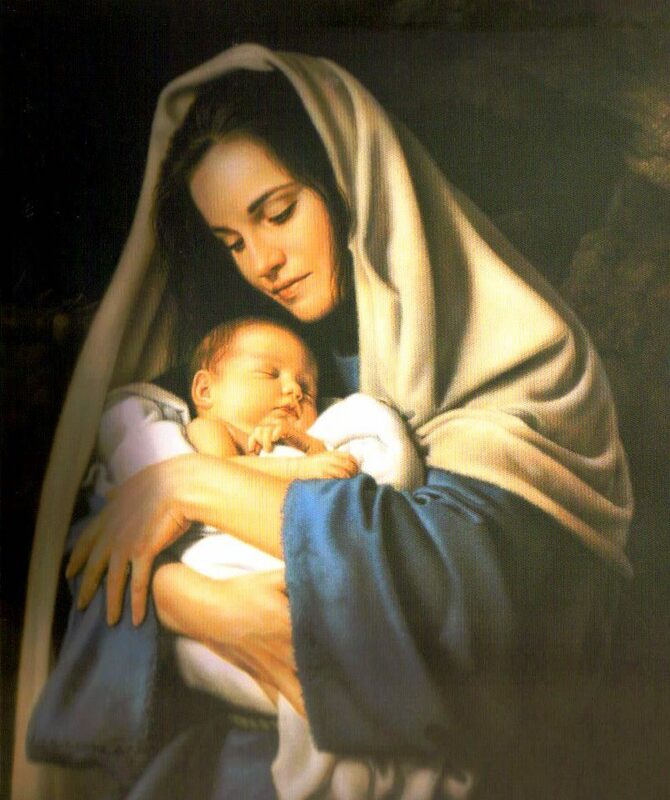 He concludes that the birth of Jesus was painless and did not disturb the physical evidence of her virginity. Thanks so much for your comment on my blog. I am aware of his thoughts. I will look it over again and maybe respond. I think it is important to avoid making Mary and Jesus “less than human” since he was like us in all things except sin. If we start making exceptions like “he didn’t really have a placenta or an umbilical cord and there was not blood, etc.” It does damage, I think, to his complete humanity. There is no need to go to extremes to avoid the real flesh and blood realities that he came down when entering our world. Remember also that after the fall, caused by sin, Scripture says that the pain would be “increased” in childbirth which seems to imply that there was some pain and discomfort before the fall. Anyway, Merry Christmas and thanks again. Previous post: Verbum – Couldn’t Live without It! Now Updated and Free! Next post: Jesus Said His Mother Had Other Sons! Really?